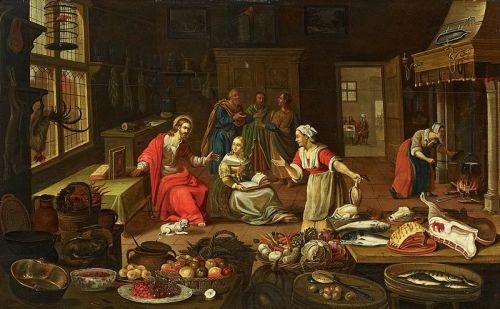 In today’s Gospel reading from Luke, we hear an odd parable about a steward, or estate manager, followed by three challenging sayings about mammon, or wealth. All relate to the topic of money, either directly or indirectly. Now, chances are that Jesus did not deliver all these teachings at the same time. Scholars think it more likely that Luke did a little editing and lumped them all together, since they shared a common thread. But the resulting juxtaposition can be a bit confusing. Let’s look at the parable first. I have always heard this parable called the Parable of the Dishonest Steward. But the title doesn’t really suit the story, since the dishonesty of the steward isn’t really the point at all. Perhaps a better title would be the Parable of the Daring and Decisive Steward. A sermon preached at the Church of the Incarnation, San Francisco, on September 11, 2016, by Christopher L. Webber. On a crystal clear September morning fifteen years ago today, two airplanes full of people like you and me plunged into the Trade Towers in lower Manhattan where nearly 20,000 people were at work. Another plane hit the Pentagon and a fourth plane plunged into a field in Pennsylvania. When the day was over some 3,000 people were dead. God places such value on one. “Cheap grace is the preaching of forgiveness without requiring repentance, baptism without church discipline, Communion without confession, absolution without personal confession. Cheap grace is grace without discipleship, grace without the Cross, grace without Jesus Christ, living and incarnate.” Dietrich Bonhoeffer, a German theologian and pastor, wrote these words in 1937; a few years later, he was executed by the Nazis. Bonhoeffer knew the cost of discipleship, and he was willing to pay the price. There is a common thread tying together the first reading from the book of Sirach and the Gospel reading from Luke, and that commonality is human pride, one of the so-called seven deadly sins. Sirach, a book of the Apocrypha, was written by a wisdom teacher, someone we would probably call a “life coach.” His purpose was to teach young men how to get along in life without forsaking God. He teaches that human pride is a sinful forsaking of God our Maker and results in ruin. Pride is clearly considered problematic. For English-speakers, the very word is problematic. Pride can mean “a reasonable or justifiable self-respect.” When we see parents displaying bumper stickers about their kids’ being on the honor roll, it doesn’t seem particularly sinful. When San Francisco hosts a Pride Day Parade, it is not meant to promote a deadly sin (though some might disagree with me there!). The kind of pride that is condemned as sinful is the state of mind in which a person lives as if they are the very center of Creation, that their accomplishments are unique, and that everything in this world matters only in so far as it affects them. Such a person forgets that everyone, and I mean everyone, is a beloved creature of God, and that every gift and every accomplishment ultimately derives from the Creator. But there is another way of looking at pride. One writer on patristic spirituality says, “[Pride’s] essential quality is not found in having too high an opinion of oneself so much as too low an opinion of everyone else” (Roberta Bondi, To Love as God Loves). I kind of like that! Years ago, when my cousin Leah was three or four years old, my mother was babysitting her. And Leah noticed a Snickers bar on the counter. She asked if she could have it. My mother explained that it was the last candy bar and that she would split the bar 50/50 with her, each getting exactly half. Now, my mother wasn’t about to hand a paring knife to a child. Instead, she took the knife and asked Leah to point to the exact middle of the candy bar. She said she would cut where Leah pointed. Now, the bar was about five inches long, but Leah pointed about half an inch from one end. My mother asked her, “Leah, are you sure that is the middle, that both halves are exactly the same size?” Leah nodded. Then my mother cut the bar at that point and quickly snatched the larger piece. Leah cried, but she learned a lesson about greed. Now, this story of my cousin is charming, but it is also instructive: we learn that greed infects us early on! It’s OK to be Mary! This week a preacher is presented with an embarrassment of riches. We have the great Old Testament story of Abraham’s hospitality to the Lord in the form of three travelers, a famous proof-text for the doctrine of the Trinity. We have the reading from Colossians, which begins with an awe-inspiring hymn about the Cosmic Christ. And we have the familiar, but disturbing, story of Martha and Mary, found in Luke’s Gospel. Well, taking into account the overwork that I regularly witness in this parish, I have decided to focus on those five verses from Luke. The story is short. The details are sparse. And most annoyingly, the point of the story is not readily apparent. The result is that biblical exegetes throughout the last two millennia have offered a wide variety of interpretations. Our early Christian ancestors were fond of so-called “spiritual” interpretations. One Church Father by the name of Origen explained the story of Martha and Mary as an allegory contrasting the contemplative life (represented by Mary) with active life in the world (represented by Martha). While not excluding some value to a more literal interpretation, he thought that this story was included in the New Testament to encourage Christians who wanted to advance in spiritual attainment to abandon the world for either life in a monastery or life in a cave. St. Augustine, another advocate of allegorical interpretation, taught that Martha represented our current life in this world, where we suffer worry and distraction, and that Mary represented life in the Kingdom of God, where our carefree life will be focused solely on God. 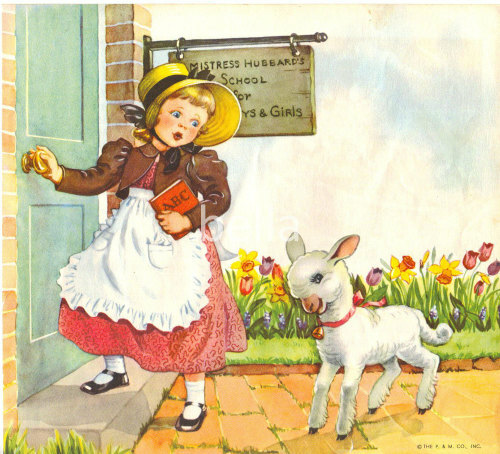 My sense is that we here today might benefit more from a literal interpretation of this story. So let’s take a closer look at this story of a dinner party gone wrong. I don’t know about you, but my heart is still broken by the massacre in Orlando. I hear stories about a man who sang in a Gospel choir, another man who worked in a local blood bank, two men who faithfully served their country in the Army Reserves, an 18-year-old woman who graduated high school just the week before her murder…. The list goes on. Good people died, and the nations mourns. 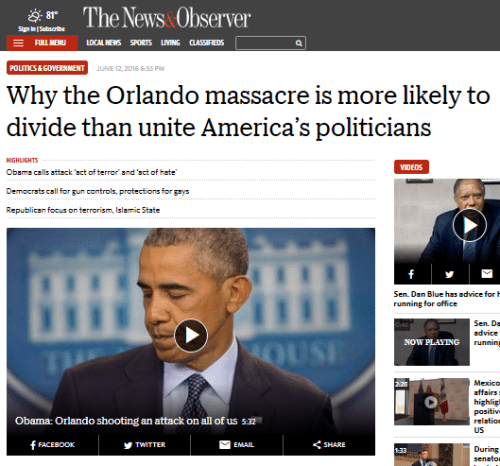 But the nation does not unite. Yes, after September 11 some 15 years ago, the nation did unite for a time. But not now. Recently, a county commissioner in Alabama defied the proclamation of the Commander in Chief of the Armed Forces to lower the flag in mourning. Why? Because he thinks that to mourn is to be weak. On an Episcopal Church blog, a man refuses to pray for the President of the United States by name, because he just can’t stand Barack Obama. Another person on that same religious blog criticizes a litany against gun violence (not against gun ownership, mind you, but against gun violence! ), because if God fulfilled the prayer he might have to give up his guns. Democrats look at the massacre in Orlando and see a case of domestic gun violence by a mentally unstable man. Republicans look at that same massacre and see foreign terrorism at work. And so they defy each other and block any real change. The truth, of course, as it often is, is lost somewhere in the middle. Why, you may well ask, do I bring up all this mess at church? What on earth does it have to do with the lectionary readings? Well, let’s look at those readings. In the early church, sermons given during Eastertide were mystagogical. That is to say, they were designed to lead the newly baptized deeper into the mystery of our faith. 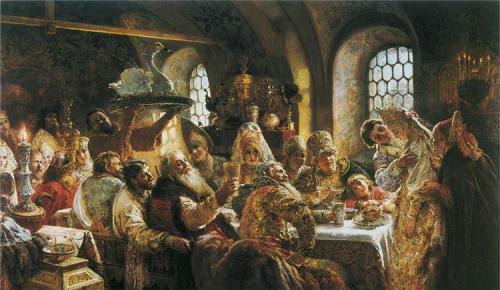 Typically, they dealt with the two great sacraments of Baptism and Eucharist. Well, this sermon won’t be a lesson primarily about the sacraments, but I hope that it does lead you further into the mystery of our faith. In todays’ readings, we hear about two spiritual giants: St. Paul and St. Peter. 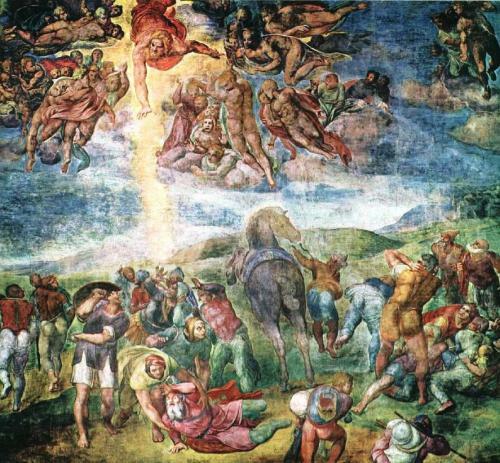 First, we hear the story of the conversion of St. Paul, when he encounters the Risen Lord on the road to Damascus. It is one of three accounts of Paul’s conversion found in the Acts of the Apostles, an indication of the story’s importance to the early church. In the Gospel reading from John, we get a strange story about Peter and his companions breakfasting with the Risen Christ on a beach, followed by an equally strange conversation between Jesus and Peter. 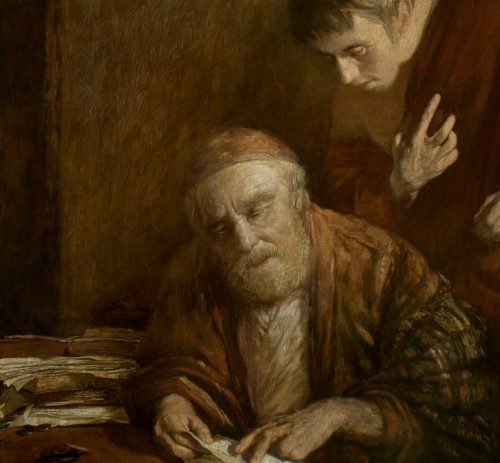 St. Paul, formerly known as Saul of Tarsus, started out his career as a righteous (one might even say self-righteous) Pharisee and a self-appointed vigilante. He took it upon himself to go from town to town and root out Christians from the local synagogues. And to his great shame later in life, Paul participated, albeit peripherally, in the lynching of St. Stephen the Protomartyr. Today is the feast of the baptism of our Lord Jesus Christ, one of four feast days in the liturgical calendar reserved for baptisms. On these days, if there are no baptisms, it is recommended that the congregation renew their baptismal vows instead. So, at the 8 o’clock service we renew our vows. But at the 10 o’clock service, we are blessed to have three baptisms. And I do mean blessed! For we are both blessed and privileged to participate in the incorporation of three new members into the Body of Christ through the action of the Holy Spirit. We learn something about the working of the Holy Spirit from today’s readings from Luke and Acts. 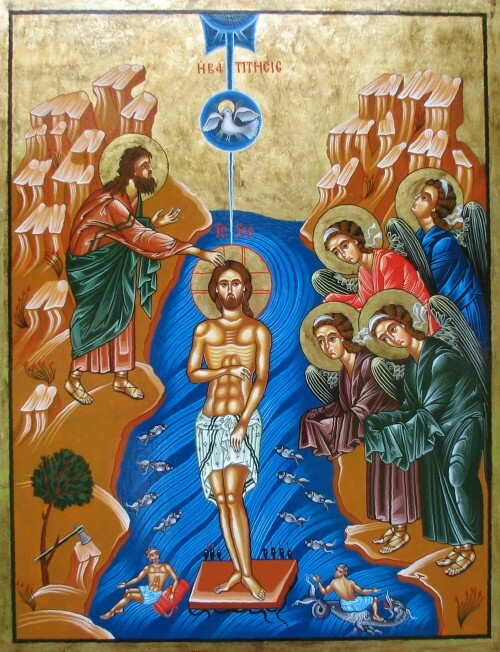 In the Gospel of Luke, we have the story of the baptism of Jesus in the Jordan River. John the Baptist is preaching repentance to the people of Judea and inviting them to be cleansed of their sins through a baptism of water. But he freely admits that one greater than he is coming who will offer a greater baptism, a baptism with the Holy Spirit and fire. That greater one is, of course, Jesus Christ. And that greater baptism is baptism in the Name of the Father, and of the Son, and of the Holy Spirit.